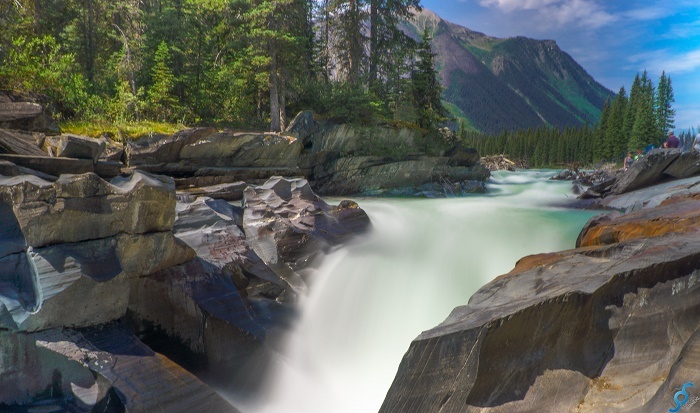 Numa Falls is an impressive cascading waterfall that is part of the Vermillion River, located in the Kootenay National Park, in the Canadian Rockies of British Columbia in Canada. 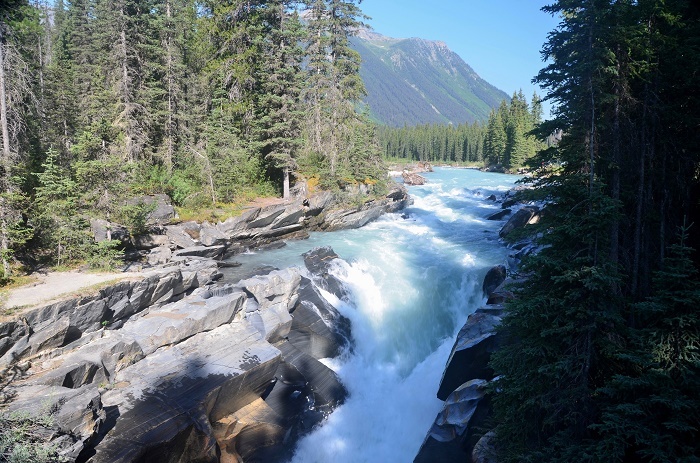 As the National Park offers a variety of different, yet, alluring landscape, the Numa Falls being part of that treasure are easily accessible and a perfect example of nature’s wondrous beauty and immense power. 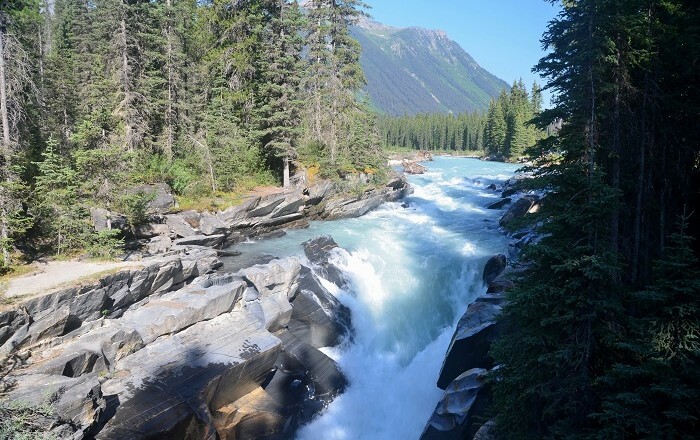 This cascading waterfall is best to be seen in spring time or when there are floods because only then one can see the true power of the Vermillion River which is successfully cutting rock, something what is visible from the surrounding. 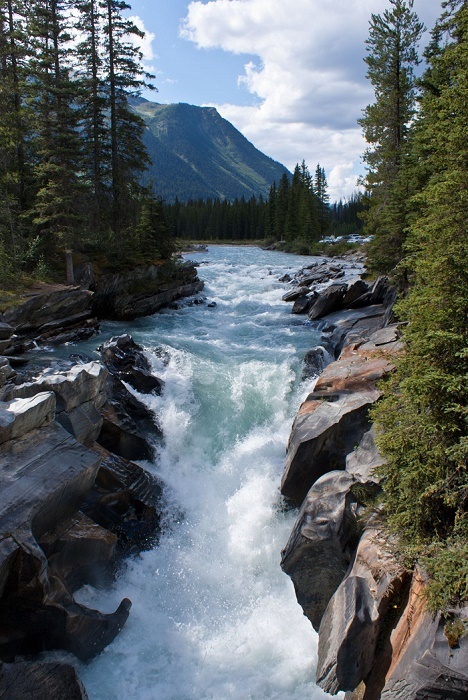 Even though not very big, there is a wooden bridge which puts the admirers of the Numa Falls right above them, where it gives everyone a breathtaking view. 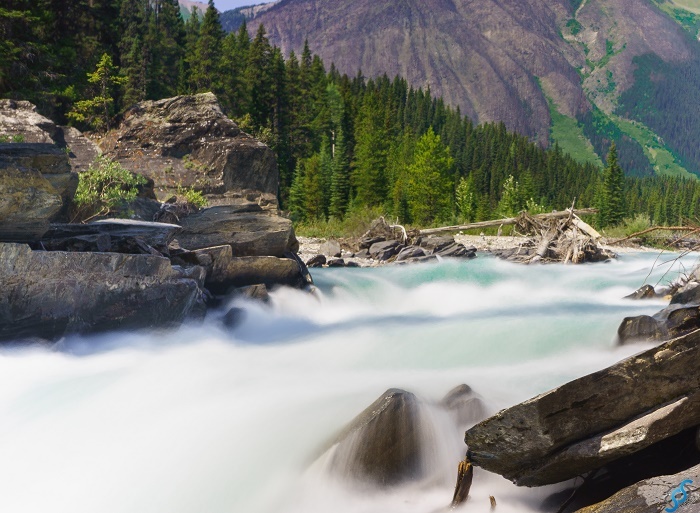 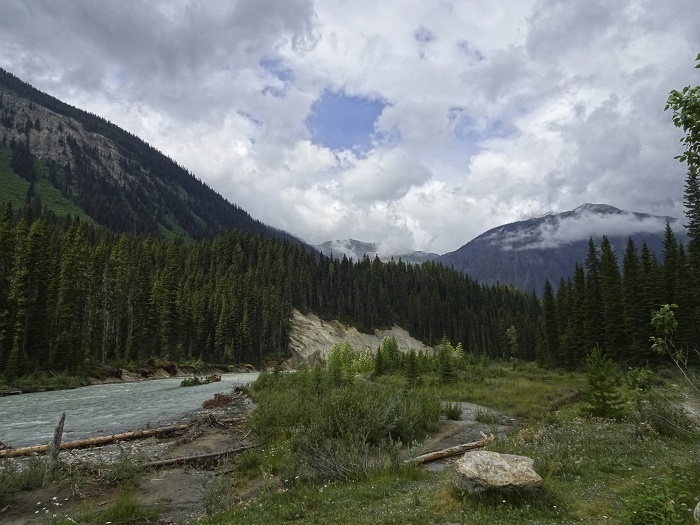 Due to the proximity of Highway 93, there are people who are interested of seeing the magnificent natural carving work of the Canadian Rockies, nonetheless, there are even picnic tables in the vicinity where friends and families can gather for a break of the city life. 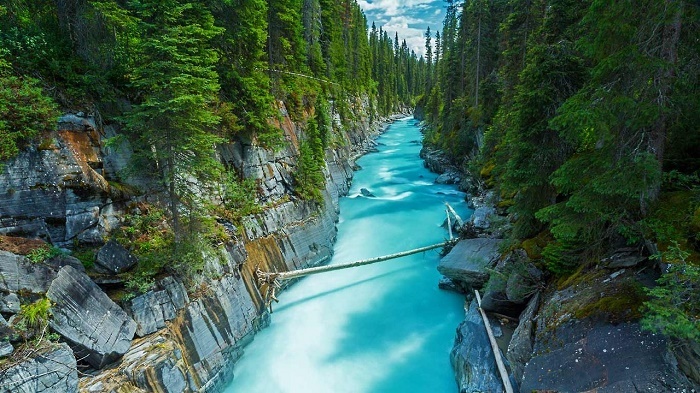 The interesting marble-blue color of the river is also amazing in fall when the surrounding aspen trees are mixing with the pine trees and give the real well known North American scenery, in which every single person would feel like in heaven.